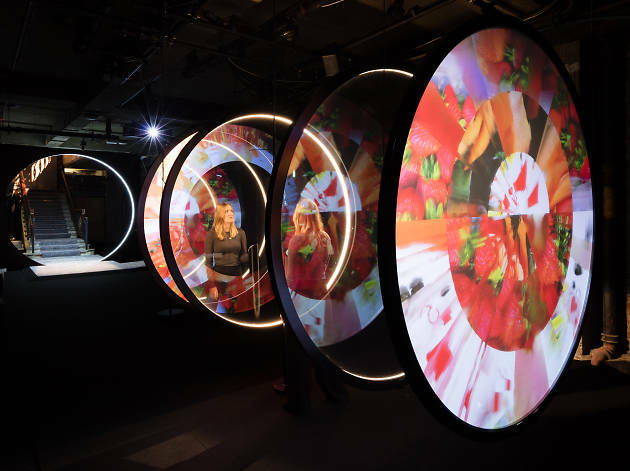 Enter the wonderful world of luxury in this multi-sensory exhibition with pieces created by Google, Louis Vuitton, Loewe, Gareth Pugh and more in The Old Selfridges Hotel. On entering the space decked out with mirrors and high gloss ball flooring, visitors will find installations, experiences and photo opportunities exploring opulence and extravagance. Find out more here. A quirky, colourful and curious exhibition - multisensory and bizarre. Great photo opportunities and a good way to spend 30 minutes but not worth going out your way for. This is a series of seven installations by different brands each stating what luxury means to them. Some of them work better than others, but overall we enjoyed it. We booked the Google Pixel 2 tour, also free, this made it more enjoyable as they lend you a google phone to use as you go around, then they email the photos after you give the phone back. For a free exhibition, it was good - we were given a free tote bag and a cocktail on a piece of rice paper. It was fun to try the camera phone too.